The Advent period celebrates the forthcoming birth of the Christ child. 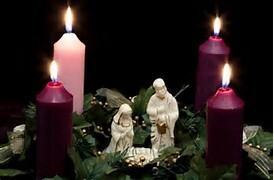 The first Sunday in Advent to this day is considered by the Western Christian Churches as the beginning of the liturgical year. On this day in Lutheran, Anglican and Methodist churches priests wear violet or blue vestments and the first Advent candle in the same colours is lit at Mass. In 2017 this day is the 3rd December. The Age of Aquarius began around the year 1900 of our time and the question arises whether Christmas still has any meaning for us and our world. My inner guidance tells me that we have reached the age when God’s sacred wisdom and truth will be flowing with ever increasing power directly from the Source of our being into every human heart and soul that is open and ready to receive it. These channels enable the Christ energies to reach ever more parts of our world. The deeper we move into the Aquarian age, the stronger they are penetrating and can be felt. With this it is gradually becoming clearer that Christmas, when viewed from a different perspective, i.e. the spiritual instead of the religious one, has a great deal to give to us. Earth life is a school, a mystery school to be precise. I am saying this because throughout my writings the mysteries of the life of the Master Jesus are increasingly revealing themselves for what they truly are. 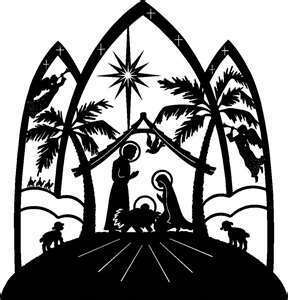 But even though the Jesus story is in truth but a legend, in my view Christmas and the birth of the Christ child have much more meaning for our present time than anyone could have imagined in times gone by. And that’s what the collection of chapters from my jottings in this book in due course is about. 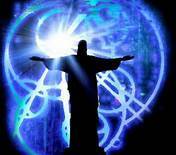 I believe that the Jesus legend was specifically designed to move us and our world, when the right time for this to happen had come, onto a higher spiritual octave and into ever new dimensions of experiencing our earthly existence. As you will soon be able to see for yourself, the weeks of Advent are a preparation for the birth of the Christ child, who for over two thousand years has been waiting to be born in the heart of humankind, individually and collectively. If you belong to those who for quite some time have been asking themselves: ‘Can Christmas still give us something? Is there any value in it for us now?’, my reply is: ‘Oh yes, a great deal of it!’ You have come to the right place to find out what it is. Now that the Aquarian Age is with us, Christmas and the allegory of the child in the manger can give us much more than anyone would ever have thought possible before. This is because when viewed from a different perspective, the spiritual and no longer the religious one, it brings us the truth, i.e. the higher esoteric meaning that for such a long time – by Divine decree – had to hide behind the surface words of the Jesus legend. 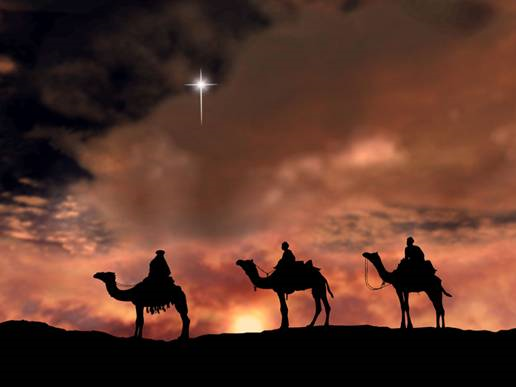 Christmas and the birth of the Christ child, when understood in this way, has the power to connect us with God, not as an force outside and apart from us, but as the living God within, an inner experience. The literal understanding of the story has been hiding this for long enough. There is no need to begrudge anything it brought to our world, because this too has been part of our Creator’s great plan of life. 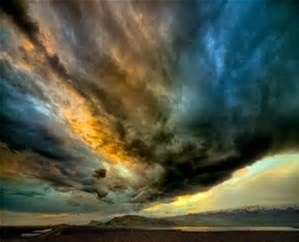 God and the Angels wrote the Jesus myth through the scribes of their time. The belief that every word of it should be understood literally and as speaking God’s truth was intended for the Piscean Age only. For as long as necessary, this would hide the truth about God’s true nature, our own and our race’s special relationship with the Divine. But now at last, thanks be to God and the Angels for it, with each passing day ever more of us are ready to grasp the truth about every part of the Jesus legend. My inner guidance tells me that the story of the Master Jesus’ life was once given to humankind as an allegory of how each one of us, as soon as we have become sufficiently evolved, is required to conduct ourselves, not only in our daily lives on the outer plane but – far more importantly – on the inner level. The birth of Jesus, his temptations and crucifixion, illumination and ascension provide us with illustrations of the initiations, i.e. 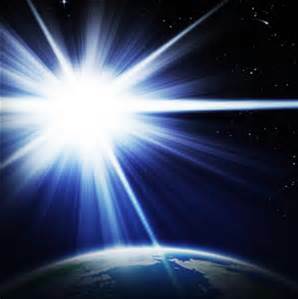 experiences every human spirit on the Earth plane eventually has to undergo on its way back into the conscious awareness of its true nature and oneness with God. 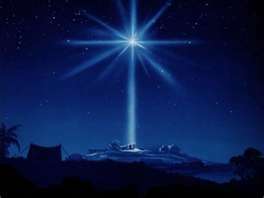 ‘At all times, look up and keep your inner vision focused on the Christ Star. Trust that Its blessing and healing power truly can heal any condition and make all crooked corners straight. And so, let’s join hearts and hands and concentrate on the Star. •We send the light of the Star to all who are experiencing poverty, depression and hardship not only in these winter months but always. •We ask the Angels of the Star to help all those who are suffering in mind, body and spirit and in need of light and love.